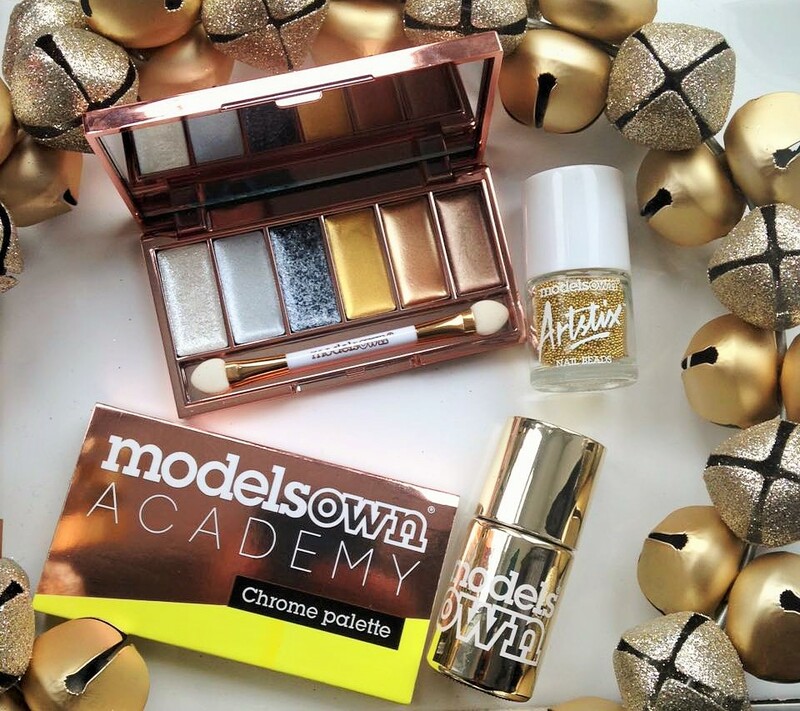 Models Own – Chrome Palette for Christmas time stocking fillers andChristmas Sparkle! 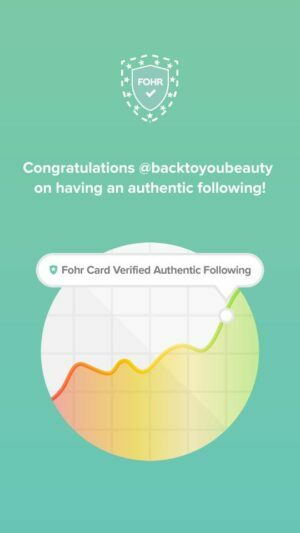 In three years Models Own has become the fastest growing Cosmetic brand in Europe. 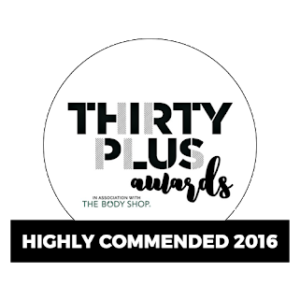 As well as being featured in the media and having some very well known brand collaborations, they are available on the high street. 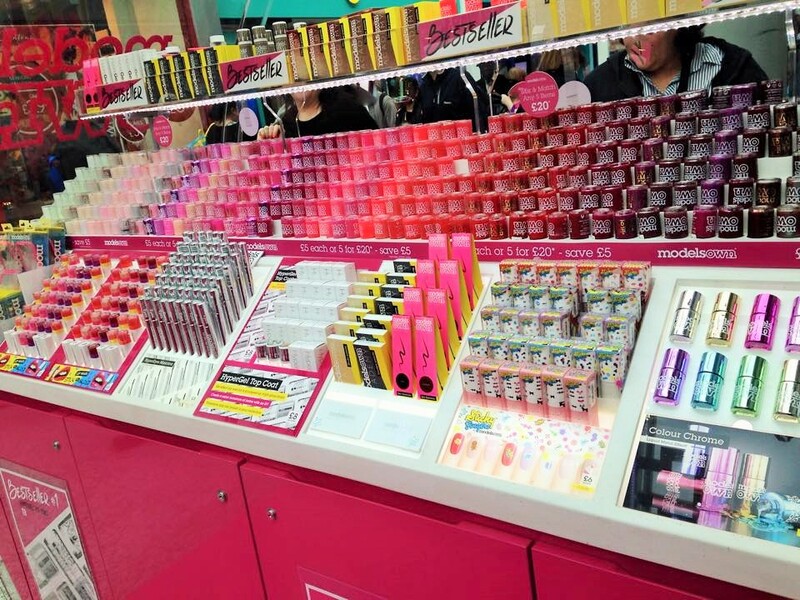 You may be aware of Models own as they stock their collection of on trend brightly coloured Nail Varnish ,Make-up and accessories in Superdrug, Boots and on-line. You may also be lucky enough to have one of their amazing Bottle shops in your local Town! Always an amazing sight to behold, this huge bottle of Nail Varnish spilling bright pink Liquid is sure to tempt you in. Dont be fooled into thinking this shop is just for the teenagers, quite the opposite they stock some amazingly affordable and very wearable on trend colours for everyone. 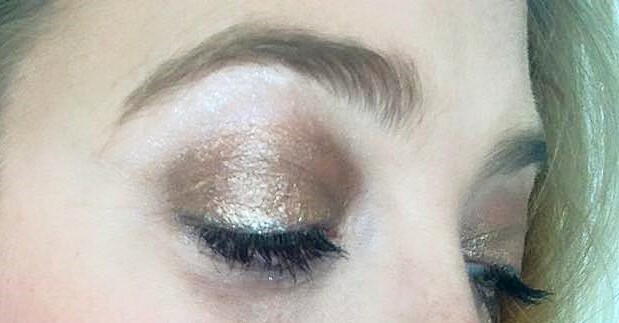 Their Smokey palette is fab and something i will be reviewing later. The good thing about Models Own is that there is nearly always a special promotion on. Recently i purchased some items in their 5 for £20 promotion, considering i bought 2 palettes at the cost of £7.99 each, a lip pencil £2.99 some gorgeous nail beads £3.99 a Metallic Nail Varnish for £4.99 and a free Eyelash curler i had a complete bargain!! Today i am going to talk about their very popular Chrome collection. I thought this would be a great collection to feature coming into the Christmas Period. Everyone can wear Gold and Sparkle over Christmas so don’t be shy and do not let your age stop you! Another plus i love at Models Own, is that their Palettes are so compact, meaning they are very easy to store and very portable.The *Chrome Cream Palette is so pretty to look at as it is a gorgeous Rose Gold Colour, very shiny ( which i love even though i am 40) and fits beautifully into the hand making it very tactile. 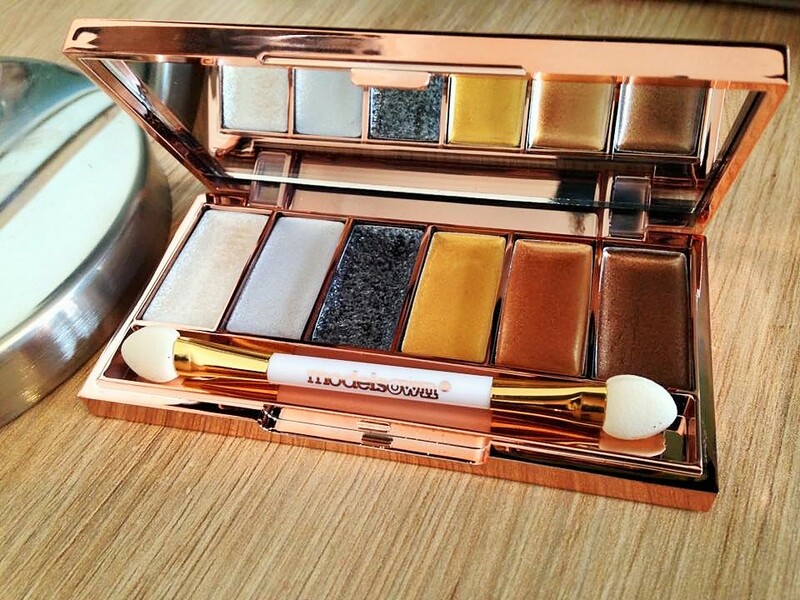 It also contains a full size mirror which is brilliant and makes applying eye shadow very easy on the go. Now for the all important colours, there are six, high impact, high sheen, cream colours. As these are cream, you have to treat them a little differently. 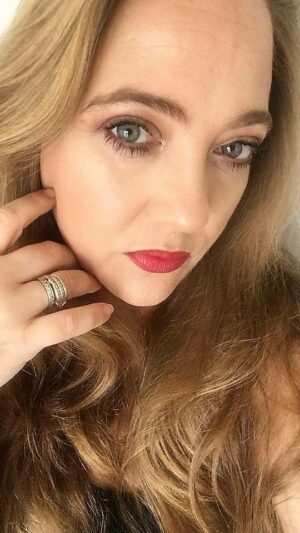 If you use too much in one go, they may settle into any creases in the eye, however they are easy to build, blend and layer, and are great to use as an eyeliner. I think these give a beautiful look and i especially love the highlighter. Personally i use my own brushes and pack the make up gently onto the lid, but you can of course practice with the included, standard brush. 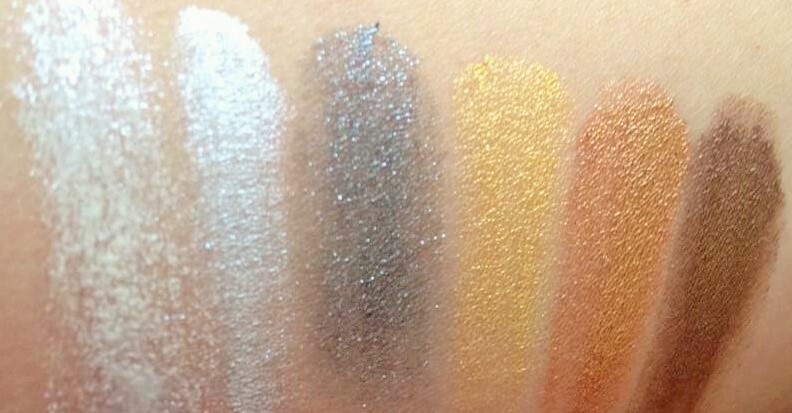 The colours range from a shimmery highlighter, through to light Silver, Grey, Mustard, Rose Gold and Bronze. 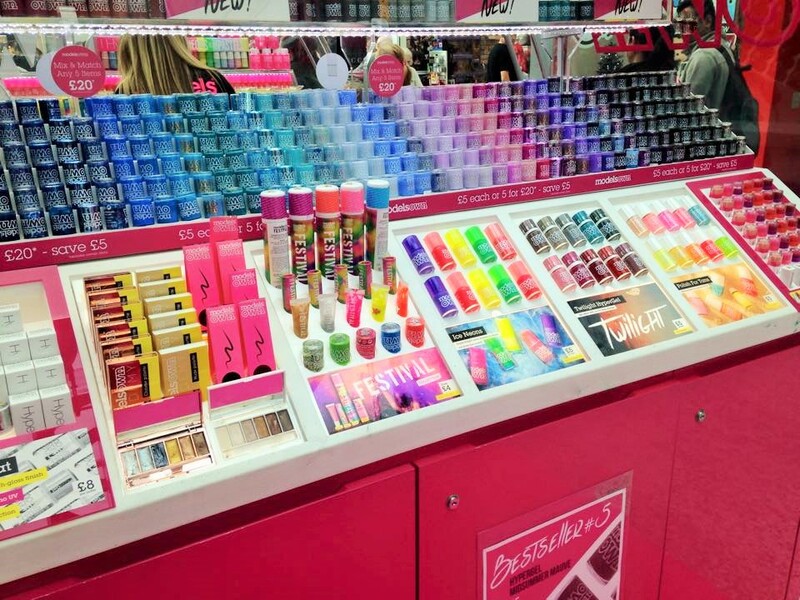 At first when i opened it i was not really sure which colours i would use, but i LOVE make up and love to try it all. 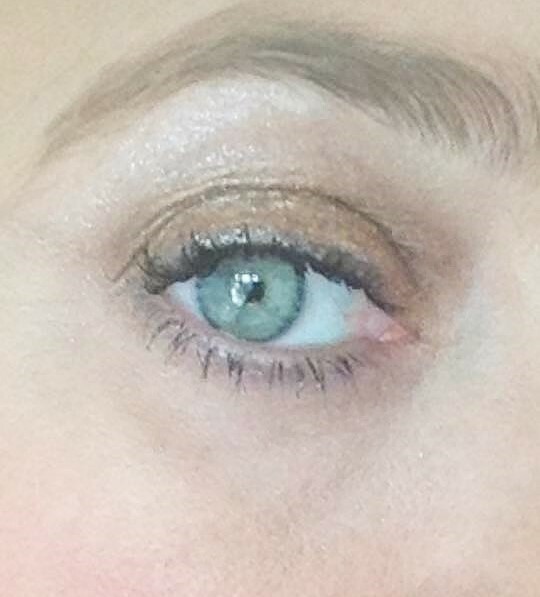 The looks achieved from these colours are beautiful and you can mix and match with powder shadows too, which i love. At such an affordable price it really is worth investing in this product and this brand and having a play. Would make fantastic stocking fillers too! 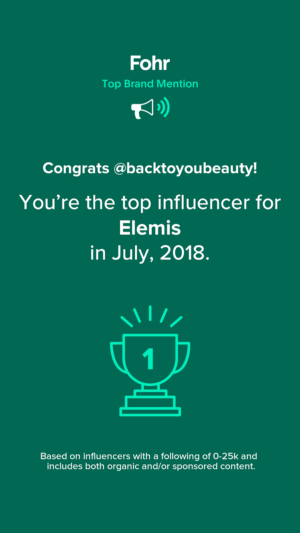 "Elemis 6 Piece Sensational skin Collection The Christmas QVC TSV Team #Orchidor Team #Frangipani November"
"3 Piece Age Benefit Regenerating Skincare Collection from Gatineau -The November Qvc Tsv Exclusive! Christmas Gift Idea"